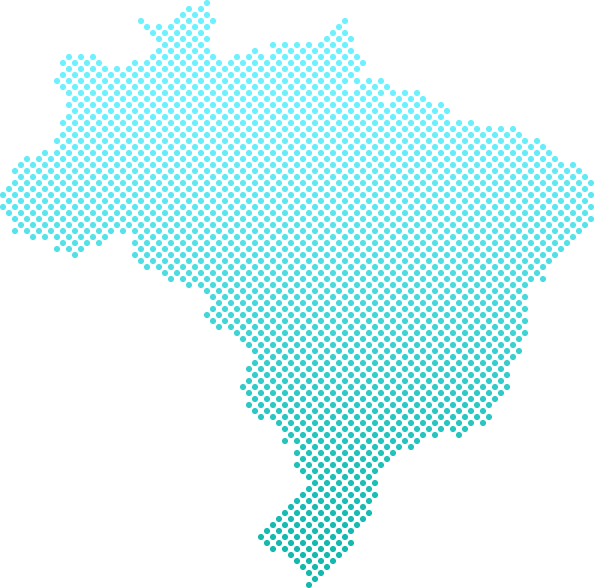 It’s easy to send parcels to Brazil for less with . We have more than 30 years’ experience working with best Brazil delivery companies, providing great service at fantastic prices that are often cheaper than postage. From sending a gift by courier, to exporting to Brazil as a business, we make it easy to compare prices on a wide variety of delivery options , whatever your budget. To make sure you get the best rates for parcel postage to Brazil, shows you prices from multiple global couriers. Once you’ve entered your shipment details, you can compare costs and choose the one that suits you best. Get an instant online quote for postage to Brazil. When it comes to international shipping, is more than just a pretty price tag. Even though our Brazilian shipping rates are up to 60% cheaper than standard postage we offer a premium service. With , you get great perks like free real-time tracking, free insurance of up to £50 and proof of delivery on top of the great savings we offer. From sending presents to São Paulo to shipping cargo to Curitiba, offers a huge range of services for individuals and businesses alike. Our 30 years’ experience working with the biggest global couriers means that your parcel will be in safe hands all the way from the UK to Brazil. And if you want to ship in the other direction we offer a range of import services, so you can send a parcel from Brazil to the UK without breaking the bank. When posting packages to Brazil, there is a low value exemption from duties and taxes. That means that any goods that are worth less than US$3,000 will be allowed into the country without having duties or taxes applied. If the contents of your parcel are worth more than this, they will have fees applied during customs clearance. makes it easy to do more than find a great price for shipping to Brazil. We generate all the paperwork you require for shipping internationally automatically, so as long as you fill in the information correctly, your customs documents should be in order. When doing so, make sure to properly declare the nature and value of your goods. As long as you make your booking in good time, can collect your parcel on the same day both in the UK and many areas of Brazil. However, this is not the case for shipments that are large or bulky. For these packages you’ll need to book a day in advance. If you have any special pick-up requirements for your package, such as a forklift truck or tail lift on the van, please let us know when you make your booking, so we can make sure that your courier is prepared. You will have to assist our driver loading bigger parcels onto their van. Most of ’s partner couriers will make up to three attempts to deliver your goods before the package will be returned to the sender. Some however may leave it in a safe place or a nearby depot for collection. If you want a guaranteed signature, then you can upgrade to that option when you book. Our parcel tracking will let you know when your parcel is out for delivery, though not the exact time it will arrive. If your shipment is due to be delivered and it’s status does not show it as out for delivery on the day then please contact us. successfully delivers thousands of parcels every day, and with our tracking system we can keep an eye on each and every one of them. That means you can watch your package on every stage of its journey to Brazil, and make sure that your delivery is going swimmingly. And in the unlikely event that something does go wrong during the delivery process, we’ll notify you by email about the problem and how to go about rectifying it. When shipping a gift to Brazil, there is no gift exemption from duties and taxes. That means that a gift shipment will be treated as a normal package when clearing customs – just like a normal parcel, you will not have pay duties and taxes as long as your goods are worth less than USD$3,000. doesn’t flinch from even the largest parcels – we can deliver items to Brazil that weigh up to 1,000kg and as long as 270cm in length. With our specialty delivery partners, we carry air freight and pallets of all shapes and sizes. All you need to keep in mind is that you will need to book a day in advance, and be on hand when your courier arrives so you can assist in loading or unloading your goods. Although Brazil has a whole handful of delicious treats to keep your taste buds entertained, sometimes there’s just no beating the taste of home. That’s why food is one of ’s most popular shipments – and we make it a simple matter to ship food to Brazil. Whenever you send a shipment to Brazil it is likely to experience a few bumps and knocks that are invariably a part of the shipping process. To make sure that your goods arrive in the same condition that they leave in, it’s important to properly package them. It’s vital to use a strong box when shipping to Brazil; older boxes may seem sturdy but conceal weaknesses that could lead to your box being crushed or burst in transit. Use a double corrugated box for any shipments heavier than 10kg. Make sure that each of your goods are individually wrapped up before placing them in your box. Use plenty of packaging material to surround your goods and make sure that they are not touching the walls of your box. Use plenty of packing tape, which can help protect your box. Use a Union Flag pattern three times around your box, supporting your box’s corners and seams. Add your shipping labels so that all parts of your label are clearly visible. Food is a popular shipment with , and we know just how to get it to Brazil in one piece. There are some special rules though – you can’t send homemade or other perishable foods. All food shipments have to be store-bought and in their original packaging. Customs charges are applied to shipments during the customs clearance process. These are levied by the Brazilian customs officer who clears your parcel. This is a part of the shipping process that has no control over. Is there anything that I can’t ship to Brazil? Yes, there are some restrictions on what can be shipped to Brazil. There are courier restrictions, such as cologne or perfume, which are goods that couriers won’t carry. There are also rules about what Brazil allows into the country for example, used goods, except where those goods are not available to purchase in Brazil, rough diamonds, plant products, dairy and fish products. There aren’t any gift exemptions from duties and shipping fees when clearing customs. That means that you won’t have to pay any extra charges when sending a gift but, like normal packages, you may have to pay duties and taxes on packages worth more than USD$3,000. Are there any extra charges for shipping to a remote area? It’s much more difficult to ship goods to a small village in the Amazon rainforest than it is to send goods to Rio. In fact, even some cities in Brazil take longer to deliver to, such as Manaus, due to their remote geographical location. So when shipping to these remote areas there is sometimes an extra charge. This is no surprise with however – we take these charges into account when calculating your quote. Does offer business courier services? makes it a simple matter to find savings on your business’ regular shipping needs. Our business shipping services are tailored to your needs, and help you find the very best prices. We work with all shapes and sizes too, so if you need to ship your eBay goods, that’s not a problem. We even have an eBay shipping calculator to help you out.